Use a Movavi Video Suite 18 now and unleash your creative genius with the NEW Collection of The Best Multimedia Tools. With Today’s Software promotion, you can purchase Movavi Video Suite 18 includes a lifetime license with 63% discount coupon! You Save $93.89 | Lifetime License | 30-Day Money-Back Guarantee | Secure Online Payment | Enjoy 24/7 Movavi Customer Support! Considering making your own movie? Nothing is impossible! Movavi Video Suite is what you need. This easy-to-use and budget-friendly, yet powerful software is the best to start with if you’re new to video making. Interested in videos? Always wanted to make your own? 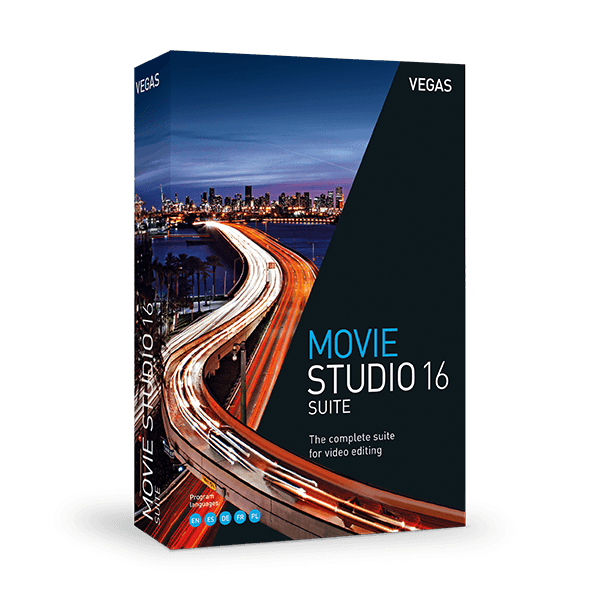 Movavi Video Suite 18 is probably the best video editing software for Windows you can start with. There is no need to spend hours on studying this movie maker program and getting used to its tools. Import the video clips from your digital camera to your project, cut, split and trim the clips and rearrange then in the timeline the way you want. Simple as that! It is very user-friendly indeed. Even a child can make a movie and become a video creator! But don’t limit yourself to basic video editing. Go beyond cutting and merging video clips. Add smooth transitions between clips, titles and even enhance the video with special effects so your own movie is complete! Don’t forget about background music so your project has a good soundtrack. When you’ve finished with your movie, export the video file in HD format and it’s ready for sharing on YouTube, Facebook and other social networks. Movavi Video Suite 18 is the comprehensive video making software that helps you create professional-looking movies and slideshows on your home computer – even if you have no experience. Incorporate music, create text captions, apply visual effects and transitions – you can do whatever you want with your video. In addition to the video making app, Movavi Video Suite 18 contains a number of useful apps to help every video maker: powerful video converter that supports 180+ media formats, the convenient utility for burning DVDs, a special tool for digitizing analog video, and more. With Movavi Video Suite 18, this ultimate collection of Movavi’s top programs, all accessible through the user-friendly interface, you won’t need any other applications to manage your media files. New Multi-Track Timeline. Add as many tracks as you want and re-order them any way you like; enjoy the new compact design. HD Clips Acceleration. Edit Full HD and 4K videos with no freezing or lagging. Updated Montage Wizard. Create videos with any of the five themes, using specific music, titles, and transitions. Intros and Outros. Add ready-made animated intros and outros to your videos, create your own custom templates. Handy Guides. Titles, Stickers, Crop, Pan & Zoom, and other tools are now easier to work with, thanks to guides in the preview screen. Portable Projects. Save your video project on a flash memory card so you can continue working with it on another PC. Improved Scheduled Recording. Now you can create multiple tasks for scheduled recording. The program will be reminding you before it starts capturing. New Formats and Codecs Supported. Convert video from cameras in the TTS format, as well as files encoded with the UT Video Codec. Apply Effects before Conversion. You can choose from a built-in library of creative filters and apply them to the video you want to convert. Trim and Rotate without Conversion. New features that let you do trimming and rotating without converting your file. Apply to All Feature. Now you can apply the desired subtitles, audio track, or bitrate to all videos you’re converting in just one click. AMD Hardware Acceleration. Users of AMD Radeon video cards will be able to convert 2K and 4K files up to 2 times faster. Media Creation – Create movies with music and special effects.Complete videos with stickers and animation. Make photo slideshows and animated GIFs. Media Capture – Record streaming video, podcasts, and Skype calls. Grab voice from a microphone and video from a webcam. Set the timer to capture live streams and webinars while you’re away. 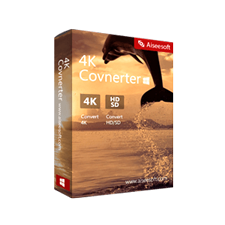 Media Conversion – Encode video, audio, and images and save them in any format. Save time with conversion presets – no need to think about settings.Create your own presets to make it easier the next time you convert. Montage Wizard – Create movies with music automatically. Keyframe Animation – Apply animation to video clips, titles, callouts, and stickers; change the transparency, rotation angle, or position of objects. Beat Detection – Sync video playback to your film score. Built-in Media Collection – Complete your projects with video and audio samples. Sticker Collection – Customize your videos with hearts, emojis, masks, hats, glasses, and more. New Content – Choose from 22 additional pieces of music and 16 stock videos in to add to your projects. Improved Scheduled Recording – Open the capture time settings window right from the main program window and track the time remaining before recording starts. H.265 Codec Support – Convert videos to MP4 and MKV with the H.265 codec on Windows 10 (older OSs require an Intel or NVIDIA graphics card with HEVC technology support). New Format Presets – Convert files to M4V, MXF, ASF, M4R, M4B, AIFF, AU, MKA, F4A, and AC3 (the last is available only on Windows 8 and later). New Mobile Device Presets – Convert media for iPad Pro 9.7, 10.5, and 12.9, Samsung Galaxy S8 and S8+, LG G6, Sony Xperia X and XZ, Huawei Honor 9; there’s also a special “Ringtone for iPhone” preset. Other Presets – Take advantage of new presets for Instagram, as well as higher resolution presets for YouTube and Vimeo; there are also new presets for 4K Ultra HD video conversion. SuperSpeed Merging – Instantly join multiple files in the conversion module without re-encoding or quality loss. Improved Subtitle Tools – Save multiple subtitle tracks; external subtitles stored in a folder along with your movie will be automatically added to the converted file. “No Audio” Option – Apply the “No audio” option to all video files in the list – this can be very helpful if you often shoot on an action cam and get a lot of ambient noise. Manage your media files any way you can want: split and join videos; add titles and audio tracks; add special effects and filters; create slideshows and your own videos; capture screen, online video, web cam, video camera, VHS, or TV output; convert between more than 180+ different formats; rip unencrypted DVDs to any format; burn CDs, DVDs and Blu-ray discs; share your media files on Facebook, YouTube and other sites; convert files for any mobile device, including tablets, smartphones, media players, and game consoles. Movavi’s cutting-edge use of technologies provides high-speed performance and efficient resource usage. The most powerful video converter ever! Supports more than 180 video, audio, and image formats, change the file format as quickly as copying it from one folder to another. Will accurately digitize your VHS collection or video stream from your TV tuner, as well as transfer AVCHD-camera recordings to your computer. Not sure if Movavi Video Suite 18 does what you need? Try it out now. Please feel free to download Movavi Video Suite 18 for Windows here. The video suite by Movavi has been tested professionally and we are assured that no viruses, Trojans, adware or malware contained. Movavi Video Suite 18 retails for $149.85 (as seen on the pricing page) But, on our website, The Software Shop, you can save 63% on your purchase of Movavi Video Suite full version license key with our additional discount coupon code. This offer is available for a limited time! 24/7 Payment Support - Contact the 2Checkout 24/7 English language support service by phone at +31 88 000 0008 (international) with any payment-related questions. The business license permits the use of the software for commercial purposes in a business environment. The personal and business versions of the software are identical in terms of features and functionality. What are their users saying about Movavi Video Suite 18? i like it so far with a little use….more later maybe?….their tech support wouldn’t tell me exactly how to get an end product thats acceptable for Amazon Video Direct….Amazon gives you the specs….but….can i really achieve that with this software thats acceptable to Amazon???? Movavi hasn’t replied yet to that…unless its buried in spam…sigh……fun relatively cheap little software suite…i hope it works to my liking in the future…i want to eventually get on amazon video direct with captions and all…..i think you have to use seperate captioning software called Subtitle Edit which is free…i’m not advertising it…but it is required to have the caption file which i dont think movavi suite can do properly….good info to some …i hope they let this review pass…..
For those thinking about teaching yourself video editing & looking at big name/high dollar video programs you should consider that learning on a very complex program is extremely frustrating & time consuming. This little program gives you a lot of bang for your buck & you can have a very nice finished product quickly without beating your head against the wall. You probably read other reviews about all the features it has. Having used the other real expensive software, I’m positive that the first time user will be more than happy with this software for a long time before or if they feel a need to upgrade to a more expensive & highly complex program. This will be much more than you need to make very nice vid’s for you tube or presentations for business. It’s not as good as what they used to make “Avatar” but just like you don’t need a Cadillac to drive across town, a Tahoe will get you there very nicely. I was recently using the youtube video editor to make my videos. I have completely ditched google and all of its products and services including YouTube so I found myself having to look for alternatives. This program is a very inexpensive yet powerful alternative. I prefer this and it has multiple functions and effects and extras that Youtube’s video editor does not. Literally within minutes of installing I was able to start recording video and very quickly learned how to edit and import files, do transitions, add text and then export. This program is pretty close to idiot proof (although human moronity never ceases to amaze). 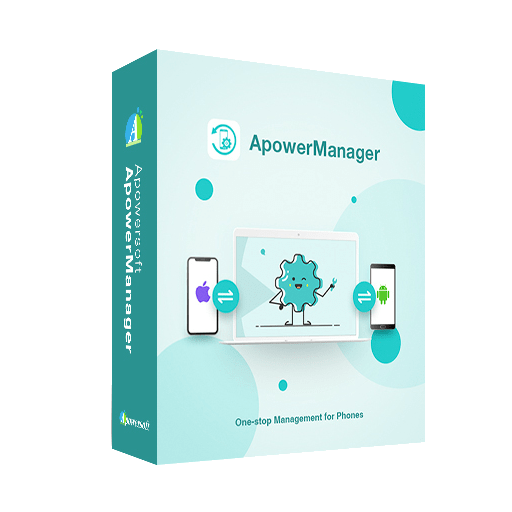 In short, this is great, quick, easy to use and powerful software. Might not have the features of some of the higher priced products on here but let me tell you it does not disappoint. I use this for a video blog so there are functions that this software does not have that I really wouldn’t care to use anyway. Absolutely delighted with this purchase. Just started with recording videos, pictures ect.. I never had a suitable editing software to make videos the way I want them to look. Yet, I am very new to this and spend some time to compare what would make most sense to me. Finally I decided to order the Movovi Video Suite 16. Right out of the gate, this is an easy to use software, lots of instructional videos and tip on Movavi’s Website, and even tech-support. What else can you ask for the little I paid…. This is a fantastic video editing software! and very reasonably priced! I am a clinician and was looking for a video editing software that would allow me to use videos from therapy sessions and then ‘blur’ out the faces for confidentiality. The video suite software makes it VERY easy to do this! I also love that it has an easy way to zoom in on specific areas in your video. The software is extremely easy to use and the results are professional. My company has a number of products we sell and I really wanted to video tape how the products are used but then add at a later time my own scripted ‘voice over and music”. The video suite software is great for this. You can quickly delete the sound associated with the original video and then just as easily add in your own script and music. 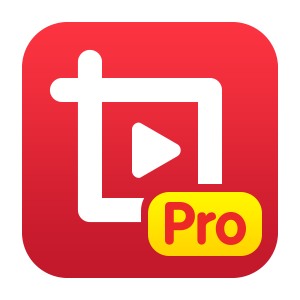 I have tried iMovie and Adobe software and find that Movavi software to be superior to both in terms of ease of use and quality and quantity of features for making professional videos. Highly recommend the video suite and the video screen capture product by the same company is exceptional as well. Thanks for reading Movavi Video Suite 18 review at a glance & enjoy the big discount. Please, report if Movavi Video Suite 18 Discount coupon/deal/giveaway has been expired/sold out. Thank you. 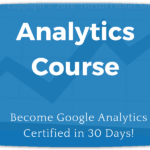 92% Off Coupon on Google Analytics Certification Course - Lifetime Access - Become a Google Analytics wizard!